How hard is it to find a gift that's genuinely useful, and yet is special to the person receiving it? 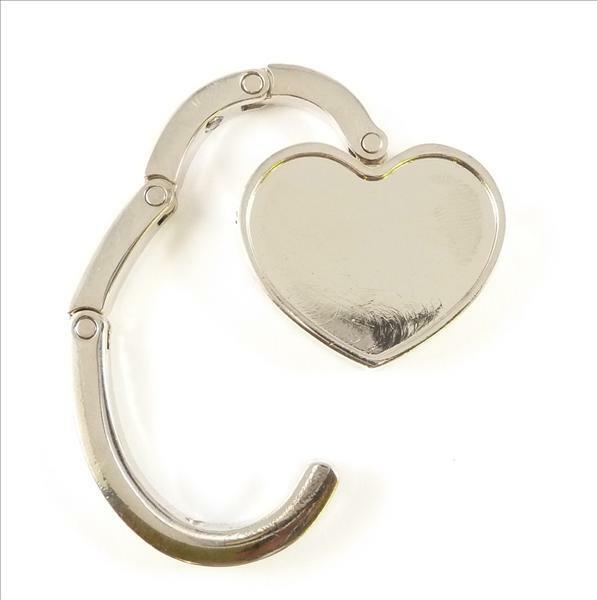 Handbag hooks are really useful for keeping your handbag off dirty floors, and safely in front of you, and now you can personalise this round hanger with a name or date to make it a special gift. This hanger has a rubberised reverse so it won't slip off surfaces. It's 46mm across when closed, including the arms. 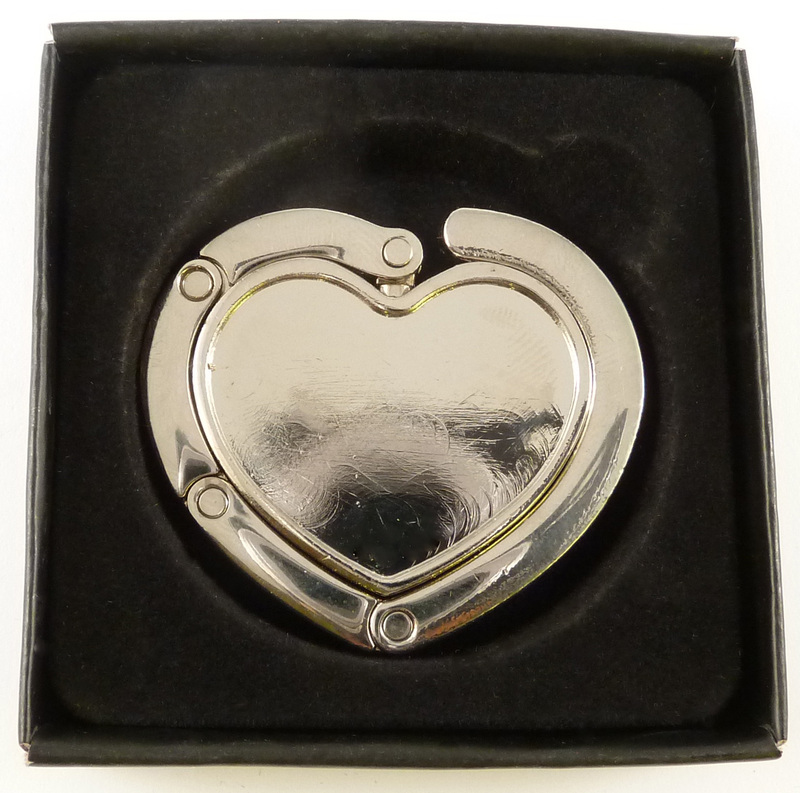 The top surface is chrome colour, and it's on this side that we engrave a name, date or perhaps a special birthday. It also comes in a small black gift box. Free engraving is included - see engraving instructions below. Posted using First Class post for a speedy delivery. If you do not require any engraving, please let us know or your order may be delayed. Engraving Information. Please read for best results. On the handbag hanger we engrave up to 3 lines of 5 characters each (including spaces). We use computerised engraving machines for professional quality results every time..
Silver Plated Photo Frame 7"x5"